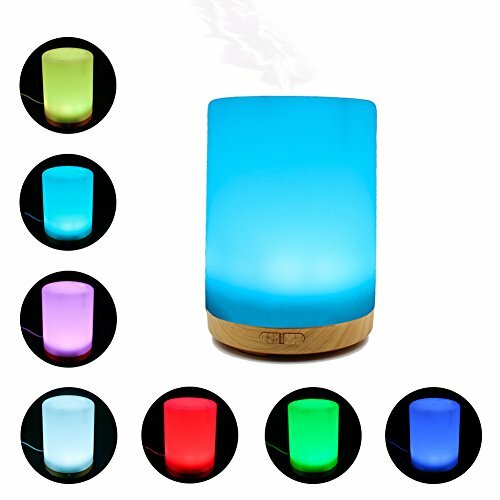 200ML Essential Oil Diffuser -Glowseen Aromatherapy Ultrasonic Cool Mist Humidifier with Colorful LED light Auto Shut-Off for Spa ,Home ,Kitchen and Office by GS GLOWSEEN at My Natures Treasures. MPN: GLOS-57. Hurry! Limited time offer. Offer valid only while supplies last. If you have any questions about this product by GS GLOWSEEN, contact us by completing and submitting the form below. If you are looking for a specif part number, please include it with your message.